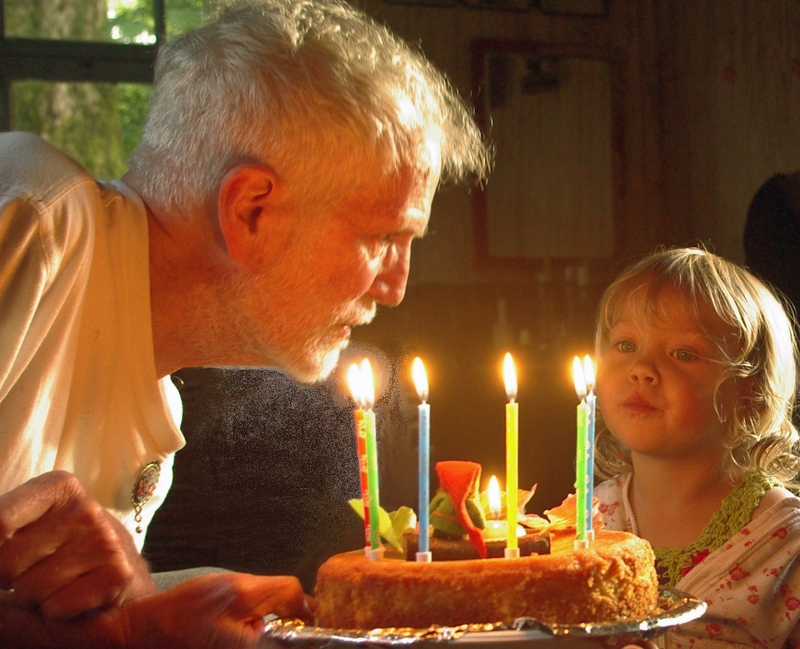 These words appear on the most recent PlaySpace publication – as a new year’s greeting card with a photo (by Morven Gregor) of me blowing out candles on my 70th birthday with help from my granddaughter – Fiadh. If you would like to receive PSP news routinely whenever it is published – which will be about six times a year – please go to the PlaySpace website and subscribe or click this link. As a subscriber, if you have a website, if you make a link to PSP, I will recipricate and make a link to your site. I’ve used this phrase – I could not tell – many times with different writing groups in all sorts of situations from hospitals to prisons, with children, families, community groups. This was one of Muriel Rukeyser‘s favourite writing prompts. I found it in her book called The Life of Poetry. She simply asked writers to complete the sentence “I could not tell….”. Be careful and prepared, it can open Pandora’s Box. These events are led by Maria Venditozzi, Larry Butler and other members of the group – to appreciate poetry; both our own and our favourite published writers. Inspired by Manjusvara‘s book The Poet’s Way, Jane Hirshfield says “this book offers warm-hearted, step-by-step awakening into the possibilities and powers of poems” Bring a poem to share – with 4 copies. Bring writing materials and vegetarian food to share during the break. Spiritual life is primarily concerned with overcoming self-centredness, with committing ourselves to values such as empathy and insight. Poetry can be a spiritual practice, a way of life. My thirteen points below describe some of the more important aspects of that life…. This prose pamphlet will be illustrated with blackbirds will be available from mid February. Helen Boden facilitated a series of creative workshops, the best of this writing will be published in a 20 page pamphlet and sold a fund-raiser for the Multiple Sclerosis Therapy Centre Lothian. Definitions: Bibliotherapy covers a broad spectrum of approaches which help people to take more control of their health and wellbeing. A Bibliotherapy program can be any activity involving print or non-print material, either imaginative or informational, that is often discussed with the aid of a facilitator one to one or in a group format. Bibliotherapy is the creative and practical use of reading, writing, storytelling for well-being and personal development. Books, stories and poems invite readers to explore their inner and outer worlds. Contributors to the toolkit include: Ken Calman, Ann Wales, Alec Finlay, Ted Bowman, Magi Gibson, Valerie Gillies, Lesley O’Brien, Margot Henderson, Helen Lamb, John Killick, Christine Cather, John McCormack, Maureen Sangter, Sarah Whitehead, James Hawkins, Wendy Woolfson and Rosie Alexander. . . .